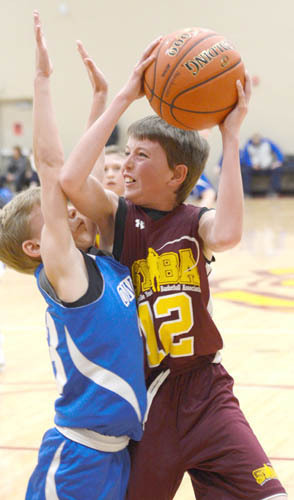 Jason Shindelar is fouled by an Owatonna defender while attacking the rim for a Stewie bucket. Ayden Helder aggressively drives for the scoop and score against Owatonna. 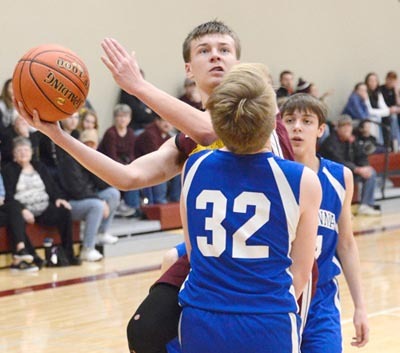 The Stewartville seventh-grade boys basketball team went on to capture the Pacesetter Region 1 Championship on March 30.